Newsletter Archive – KidBright USA Inc. Thanks to the incredible support of local businesses and individuals, KidBright is able to expand snack service to six additional classrooms. Starting on October 30, KidBright will begin delivering healthy snacks to all of the first-grade classrooms at Hope Valley Elementary and all of the sixth-grade classrooms at Shepard Middle School. 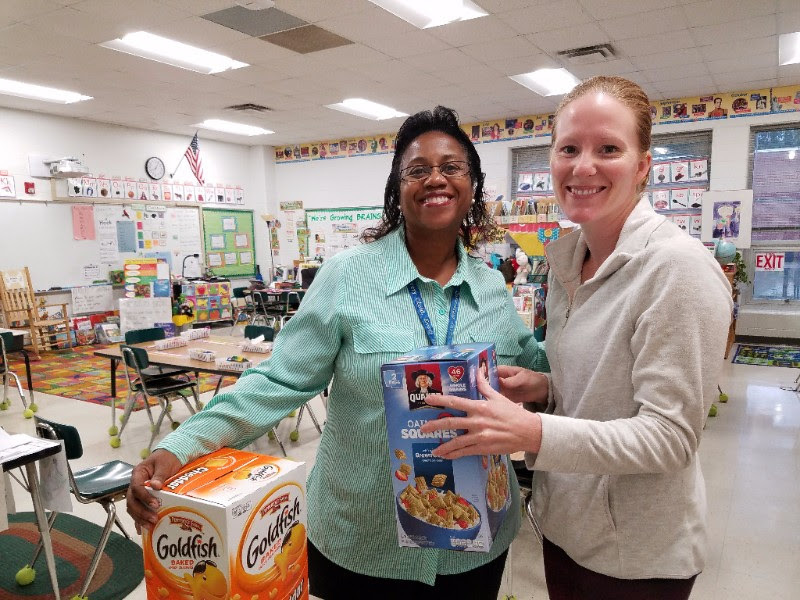 We are already delivering snacks to all second-grade classrooms at Forest View Elementary. Photo: KidBright Volunteer Ryan Runestad, left, delivers healthy snacks to Linda Lewis, a first-grade teacher at Hope Valley Elementary. To help with our expansion, KidBright is recruiting additional Snack Volunteers for Hope Valley Elementary and Shepard Middle Schools. Snack Volunteers pick up prepaid snack orders from Costco (a membership is NOT required) over the weekend and deliver them to a classroom on Monday morning. Volunteering with KidBright is a great way to engage your children in giving back to the community. Interested in joining our team? Please fill out a volunteer form and we will contact you with additional information! 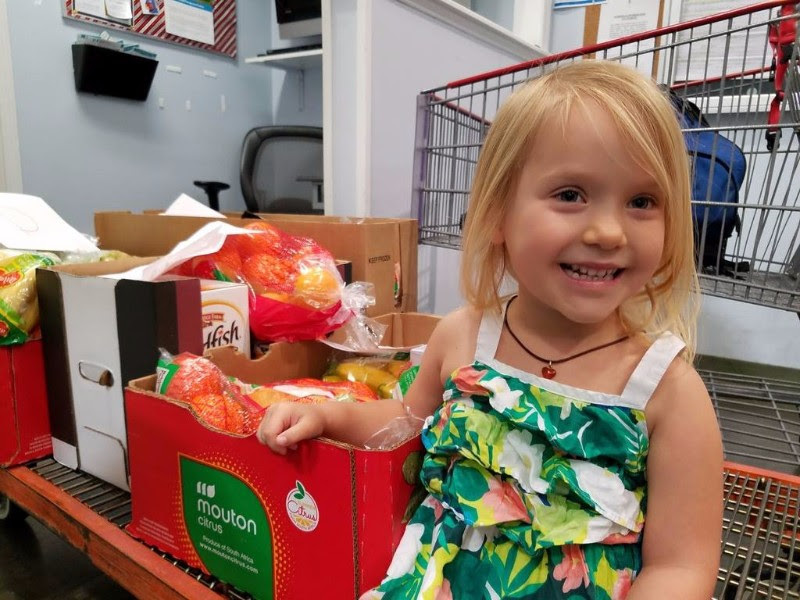 Photo: Sabine, 4-year old daughter of KidBright Executive Director Sarah Magargee, loves to pick up and deliver healthy snacks. “I like going to the big kids’ school!” Sabine says. KidBright and the Durham Costco are working together to make snack pickup as easy as possible for volunteers. KidBright submits a weekly snack order Friday evening. Costco pulls all the orders, bundles them together, and charges it all to our KidBright account. Over the weekend, volunteers simply drop by the checkout area of Costco and pick up their assigned box of snacks. A Costco membership is NOT required and volunteers don’t have to pay out of pocket for snacks. Just another example of how we are all stronger when we work together! 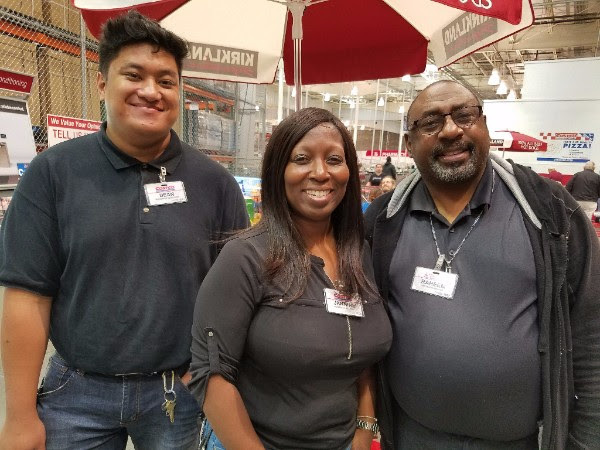 Jannine Brice, center, Durham Costco manager, has been incredibly supportive in setting up the KidBright/Costco partnership. We are very thankful for her commitment to our cause. Five core values guide KidBright’s work: Kindness, Hope, Transparency, Thrift, and Equality. Each month we will highlight one of our values and elaborate on what it means for KidBright. This month we focus on Transparency, a critical part of our business model. Our radical transparency approach sets KidBright apart and helps to build trust among partners and in the community. Through transparency, we make it crystal clear that the majority of funds donated are used to directly support classrooms in need in Durham Public Schools. This means showing exactly how many dollars are used to feed students, and how many are used for administrative costs. We then make this information public by posting it on our website and emailing it directly to KidBright supporters. Our goal is to spend 80% or more of donated funds on food for hungry students. Our first transparency report went out in early October. From August 28 to October 2, KidBright provided healthy snacks to about 200 children in three public schools each and every school day. This amounted to more than 6,000 snacks purchased and delivered to classrooms. During these six weeks, KidBright spent $1,225.69 on healthy snacks to feed hungry students. You can review our full transparency report on our website. DBC strives to respect the area surrounding a new home, building dwellings that reflect the surrounding style. They also focus on creating real relationships with clients. Maggie explained that DBC is not looking to grow larger, saying that the company is “just the right size.” It keeps them busy but still allows them to attend every closing and develop a personal relationship with each buyer. Working in East Durham shed a new light on the struggles so many children face, and led Maggie and Eric to look for ways to help. KidBright, they explained, provided the perfect opportunity to give back to the community and help lift up Durham’s public schools. KidBright welcomed two new Classroom Supporters to their growing list of Business Partners this month. Thank you to Rho, Inc. and Academy Eye Associates for each providing a classroom with healthy snacks for an entire academic year! Special thanks to Armonia Health, LLC, a Durham acupuncture and Chinese medicine clinic, for choosing KidBright as their featured nonprofit at their Pay-What-You-Can community acupuncture clinic. Armonia graciously donated all funds raised during the clinic to KidBright’s healthy snack program. KidBright USA, a 501(c)(3) nonprofit, is addressing hunger in public schools by building a community-based volunteer network delivering free healthy snacks to schools in need. Hunger in Durham public schools is real; about 8 students in the average Durham classroom are living in food insecure households. For these children, school breakfast and lunch may be their only meals of the day. KidBright healthy snacks help students stay full throughout the day so they can learn and thrive. KidBright services are available to schools where 60% or more of the students qualify for free or reduced lunch. 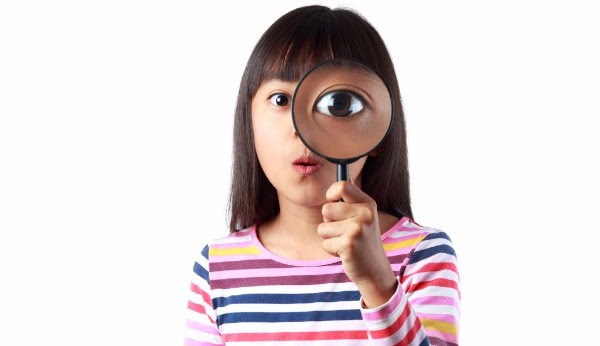 To find out more about our innovative program and how we are growing, please visit www.KidBrightUSA.org.